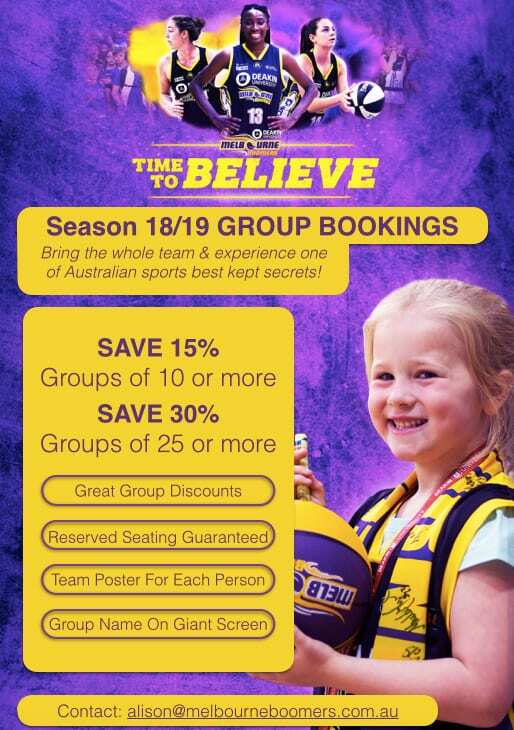 Save on group bookings with the Melbourne Boomers. Groups of 10 or more receive 15% off their ticket while groups of 25 or more will get 30% off! 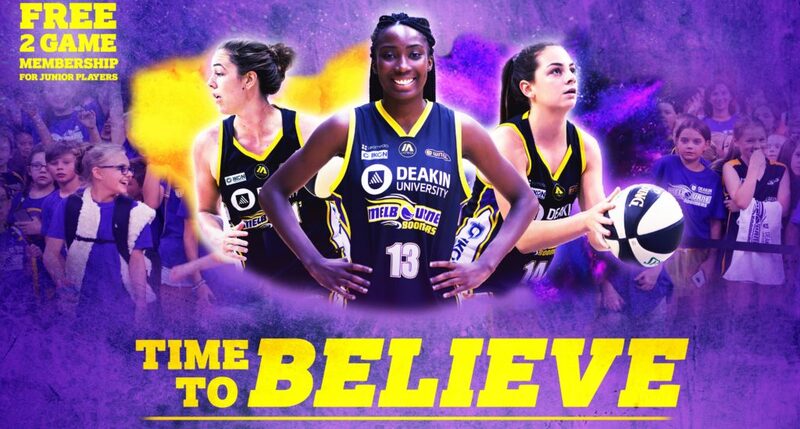 The Deakin Melbourne Boomers have gone to a whole new level in providing benefits to partnering grassroots basketball clubs and associations with FREE 2-Game Memberships on offer to juniors 17-years and under. All up, 78 clubs and associations across Melbourne and regional Victoria have signed on as official partners of Melbourne’s WNBL team and via that partnership all junior players, girls and boys, at the partnering clubs and associations can register for the Membership offer. “Five years ago we didn’t have one single partner in this space, then we had twelve clubs the following season, that grew to twenty the next, last season we had thirty-eight and for this season we have just reached seventy-eight,” beamed Boomers GM, Justin Nelson. “The growth and support shown by our partnering clubs and associations is quite amazing. They represent grassroots basketball from across Melbourne and regional Victoria, and they are all extremely keen to support girls and women in basketball. One of the key benefits to the 78 partnering clubs and associations is the Free 2-Game Memberships that all juniors aged 17-year and under can register for online. Nelson believes the membership offer marks an exciting new direction for the Boomers. 1) For juniors playing at any of the clubs and associations listed below, you are eligible for a FREE 2-Game Membership. 2) Go online and register at www.boomersmemberships.com.au – it takes less than a minute. 3) You will receive your membership in the mail within a few days. If your club/association is not listed below, speak with them and ask them to contact the Deakin Melbourne Boomers office (alison@melbourneboomers.com.au). We’d love to have them join as a partner and provide benefits like this to you and other junior players at your club.